1.a. Roots: One of the really beautiful aspects of the Hebrew language is that all of the roots of the verbs and nouns are derived from two-letter units that are usually assembled as part of a three letter root. By selecting the first two letters of the root, a listing will be displayed of all Hebrew and Aramaic words (Aramaic words will display in green in the summary) that begin with those two letters with a brief English translation. Once the list is displayed, tapping on a word will display a popup with further detail about the selected word. It is also possible to display a list of all the verses in the Hebrew Bible that contain that word or the BDB page for that word. 1.b. Strongs: If you know the Strongs number of a Biblical Hebrew/Aramaic word, you can go directly to the detail information about that word. 1.c. 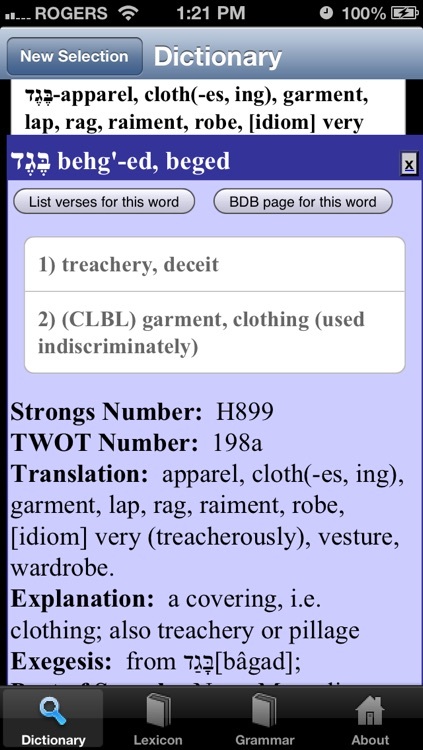 Search: If you know the English equivalent of a Biblical Hebrew/Aramaic word, you can search for all words that contain that text in one of their definitions. This function supports wildcards as well (e.g. - you can use a "_" character to represent any single character and a "%" character to represent any number of characters). 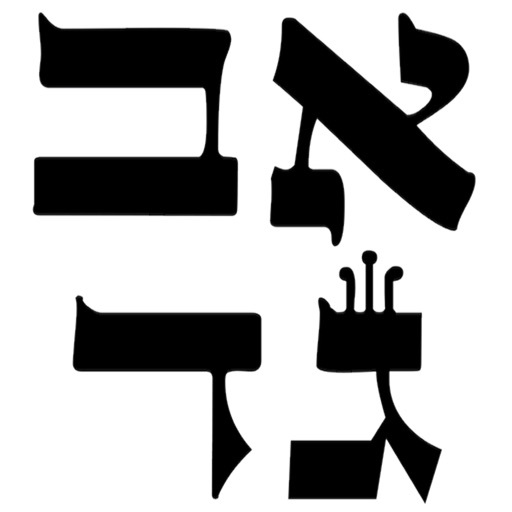 - The Hebrew (with vowels) representation. 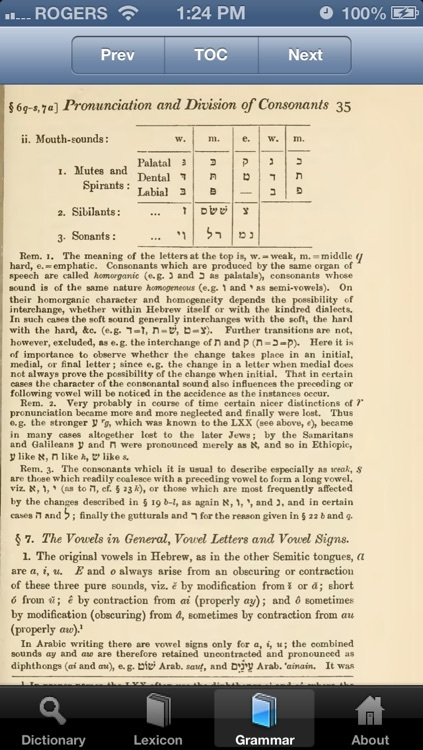 - The phonetic pronunciation of the Hebrew. 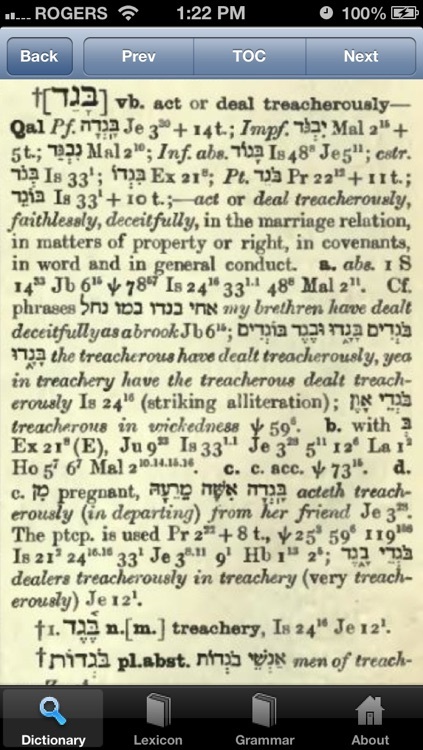 - The Strongs transliteration of the Hebrew. - The language classification (Hebrew/Aramaic/Name). 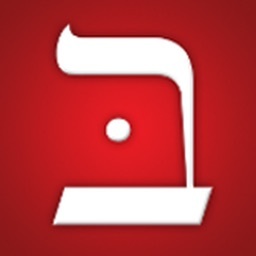 - A button to access a list of all verses in the Hebrew Bible where that word appears. 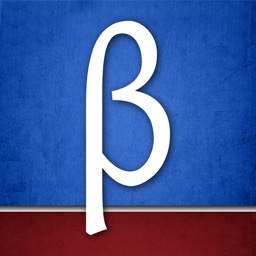 - A button to access the BDB page related to that word. - TWOT (Theological Wordbook of the Old Testament) number reference. 2. 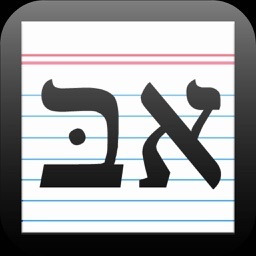 Lexicon: The Brown-Driver-Briggs (BDB) Hebrew Lexicon is probably the most commonly used Biblical Hebrew Lexicon. A complete copy of this lexicon is accessible from within the application. 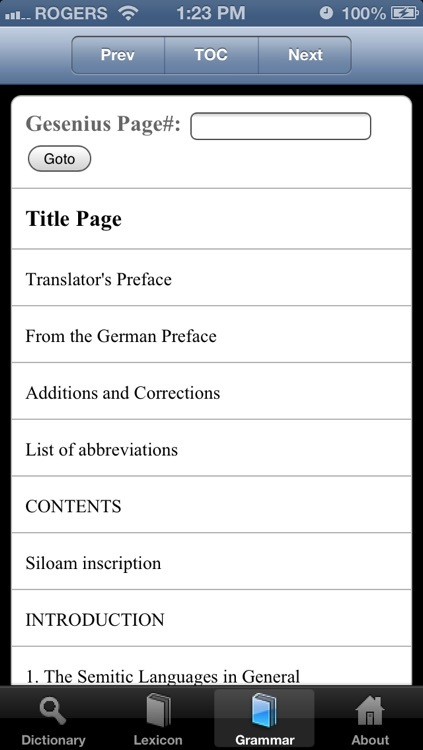 In additon, individual pages can be displayed via the Dictionary word lookup functionality. 3. 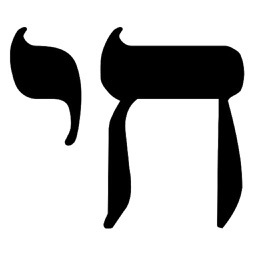 Grammar: Gesenius' Hebrew Grammar is the standard Biblical Hebrew reference grammar in English. 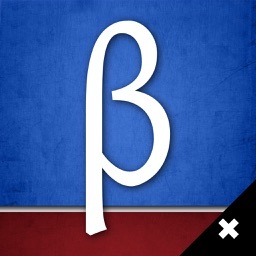 A complete copy of this grammar is accessible from within the application.